And at: http://suttacentral.net/ in the Abhidhamma section. This book is intended for all serious students of the Abhidhamma. It serves as a supplement to Bhikkhu Bhodhi's book A Comprehensive Manual of Abhidhamma, and treats various important aspects in more detail - in particular the process of consciousness and matter. Last edited by randall on Thu Nov 06, 2014 7:00 pm, edited 1 time in total. What is the Abhidhamma? How did it develop from the early teachings? What practical relevance does it have? The four subjects of the Abhidhamma (four paramattha dhamma) Consciousness: Why does the Abhidhamma focus on consciousness? Its nature, its classifications, by way of sphere and by way of quality. Unwholesome consciousness, The sense‐sphere cognitive process Rootless consciousness. Beautiful consciousness of the sense sphere. Beautiful consciousness of the fine‐material sphere, the immaterial sphere, and supramundane paths and fruits. Mental factors in general Universals and Occasionals The unwholesome mental factors. Association of mental factors (cetasika‐sampayoganaya). Inclusion of mental factors ‐part 1(cetasika‐sangahanaya). Summing up. Discussion, questions & replies. Last edited by randall on Thu Nov 06, 2014 7:01 pm, edited 1 time in total. ...the present work is neither a translation of Abhidhammattha Sangaha, nor an annotation on it. It is a humble effort to present in the following pages the outlines of Abhidhamma in the form of simple essays. Dependent Origination serves to elucidate the second and third Noble Truth regarding the Origin and Extinction of Suffering, by explaining them from their very foundations upwards, and giving them a definite philosophical form... Hence, this short essay, being entirely based on authentic Pali texts and Commentaries, reflects the true position of Theravāda Buddhism in its canonical sources and in its well-tested exegetical works. For the sake of brevity, often a terse diction has been adopted in this treatise. But a careful study and a growing familiarity with the true significance of the terms here employed, will finally make the subject matter quite intelligible and self-evident. 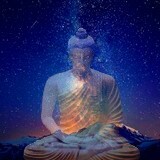 "Spiritual deliverance," says the Buddhaa, "is attained by the destruction of the mental cankers." Indeed, the Arahat is referred to as khinasava, the canker freed one. A seeker of Truth, therefore, one should know what these cankers are, and what he should do to rid himself of them. The answer lies in the Sabbasava Sutta, wherein the Enlightened One unfolds a methodology which in its application is totally effective. dhammadownload.com, (website with various ebooks and talks from teachers of Mayanmar). Visuddha Meditation Centre, (website with various ebooks and talks mainlly based around Pa Auk Sayadaw's teachings). Pa Auk Tawaya Vipassana Dhura Hemritage USA, (website with ebooks and talks from Pa Auk Sayadaw). Every friday night on youtube around 10:00pm EST Ven. Ashin Pannobasa has been giving Abhidhamma talks. Next week will be week twelve but you can catch up from the link below. These are very good in quality and sound which is always welcomed! also to follow along here are some study notes and charts so far that I'm aware of. Namgyal: "The text talks about there being 12 bases but the phrase ‘ayatana-vibhanga’ gives no mention to a number, which leaves it wide open. It could be that there are vast numbers of ayatana-vibhanga; that to realize the full nature of the decorative refinements or adornments we call the senses you must go beyond 12."